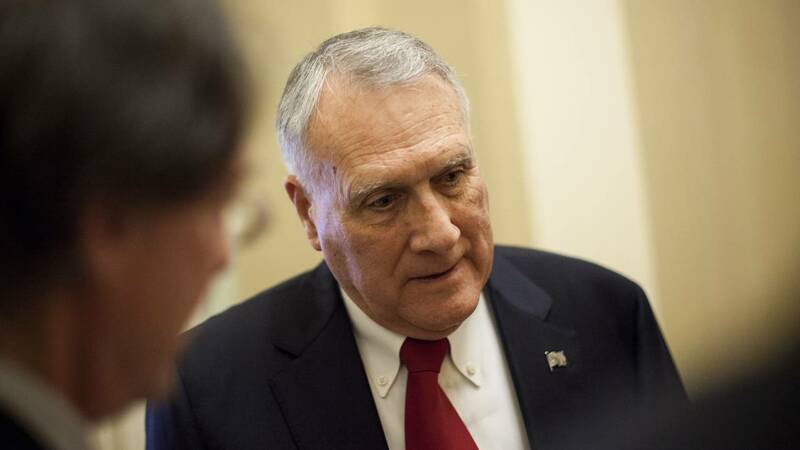 WASHINGTON (CNN) - The White House has tapped former Republican Sen. Jon Kyl of Arizona to be the "sherpa" to steer President Donald Trump's Supreme Court nominee through the Senate confirmation process, spokesman Raj Shah announced. Kyl, who retired at the beginning of 2013, is a familiar face to many within the chamber. He left office as the number two in his party's Senate leadership, a position now held by Republican GOP Sen. John Cornyn of Texas. Kyl also was a member of the Senate Judiciary Committee, which will hold a hearing on Trump's choice for the court. A GOP official said Senate Majority Leader Mitch McConnell had suggested Kyl for the task. The White House had asked for McConnell's advice on the matter, the official said. The recommendation continued to underscore McConnell's significant behind-the-scenes role in the process -- one bolstered by months of close coordination with the White House, and with White House counsel Don McGahn specifically, on filling circuit and district judge slots. As CNN previously reported, McConnell has consulted with Trump and his team daily on strategy and Senate math for the possible picks. The term "sherpa" has been gradually incorporated into Capitol Hill jargon, from the name of a people known in part as guides to visitors in the Himalayas. Former GOP Sen. Kelly Ayotte of New Hampshire helped shepherd Neil Gorsuch, Trump's pick to replace the late Justice Antonin Scalia in 2017, through his successful confirmation process. Her work included attending meetings with Gorsuch on Capitol Hill and serving as a public face for the nominee while the Senate deliberated his candidacy. The President released an updated list last fall of 25 choices, including Judges Brett Kavanaugh, Amy Coney Barrett, Raymond Kethledge and Thomas Hardiman, who are believed to be included on Trump's shortlist for the nomination.